Sassycat is an animal story, for readers age 9-13. 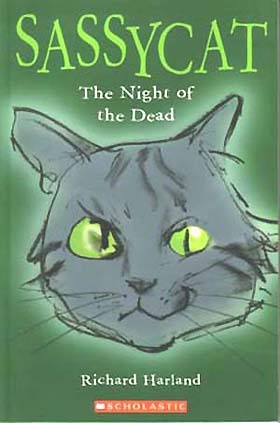 Sassycat is new to the neighbourhood, where the other animals are fighting an old enemy - the ghosts of the local cemetery! 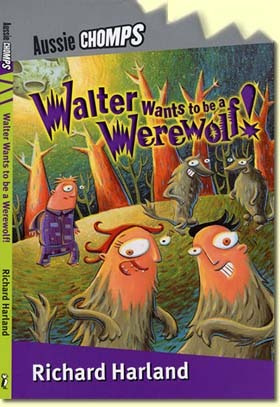 Walter wants to be a werewolf, like everyone else in his family. But when the full moon rises in the sky, he doesn't develop a thick furry coat, but weird hard patches on his elbows and knees. What is he? His parents are ashamed of him - but turning into a wolf isn't the only useful transformation! 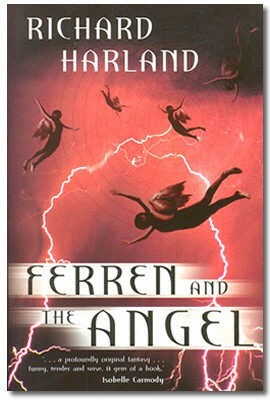 In the Ferren trilogy, the world is caught up in a tremendous war between the armies of Heaven and the armies of Earth. Ferren sees the lights in the sky, but, like the rest of his tribe, he knows nothing of the true story of the war, until a wounded angel falls to Earth and needs his help . Eddon is an interplanetary murder investigator,called to the backward world of Planet P-19. 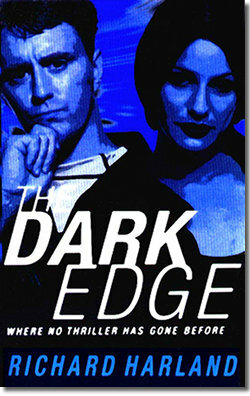 He doesn't much like his newly assigned assistant, a psychic called Vail ev Vessintor. But this is a case like no other ; the first murders are only the beginning. The second book in the series is Taken by Force, the third is Hidden from View. Here's the famous book that launched a cult! Copies that sold new for $8.95 now sell secondhand on e-bay for up to $50. Martin Smythe comes to a strange isolated corner of England where the bizarre inhabitants are building the greatest church in the world. 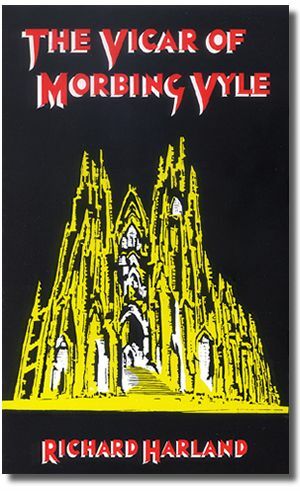 The Black Crusade, written 10 years later, is the prequel to The Vicar of Morbing Vyle.